Should You Choose an Attorney to Serve as the Trustee of Your Estate? It’s the hardest decision you have ever had to make: you spent the best years of your lives together, but now your husband needs expert medical care. Your accountant has said that you have too many assets to qualify for Medicaid, but there’s no way you can afford nursing home care without it. Is there a way to provide your husband with the care he needs, but still have enough to make sure you are protected if the same thing happens to you? What Is Fiduciary Trust Management? As the costs of long-term care can be astronomically expensive, Florida residents will often create trusts as part of their estate plans. These trusts offer a way for seniors to leave their assets (such as property, cash, and other gifts) to their family members, while allowing themselves and their beneficiaries to stay within the necessary income limits to apply for governmental benefits. This trust is often used by married couples who plan to leave all (or most) of their property to the other spouse. This is particularly beneficial if one spouse falls ill: if a healthy spouse dies, money stays in trust rather than going directly to the ailing spouse. This protects the ailing spouse’s benefits, because the assets in trust do not affect the ailing spouse’s resource limits. For seniors living with disabilities or special needs, a supplemental needs trust may be created to give the disabled person an unlimited amount of assets without affecting governmental benefit eligibility. Assets in trust will not be counted when the disabled person applies for Medicaid, Supplemental Security Income (SSI), subsidized housing, or vocational rehabilitation programs. In some cases, the full disability or limitations of a family member may not be fully known when the trust is created. A contingent special needs trust can include a provision allowing a trustee to establish a special needs trust (if needed), and to fund it using resources from the trustmaker’s assets. Who Will Be the Administrator of Your Trust? A trust requires three different parties: the trustmaker, the beneficiary, and the trustee. The trustee is a third party whose job is to manage the assets in the trust on behalf of the trustmaker (both during and after the trustmaker’s lifetime). Whether you choose a family member, friend, or a third party to serve as trustee, your trustee is bound by a fiduciary duty (a legal responsibility to act solely in another person’s best interests). Should You Consider Appointing an Attorney as Fiduciary? Seniors may choose to designate an attorney to act as their financial representative, rather than rely on a friend or family member. Attorneys offer a great advantage as trust fiduciaries because they are legally bound to protect their clients’ interests. They have a duty to carry out the decisions made by the trustmaker, and advise their clients on any additional benefits or potential problems that could arise as they administer the trust. Unlike family members, who may be tempted to make decisions based on their own financial gain, attorneys are responsible for avoiding any conflicts of interest between themselves, the trustmaker, and the beneficiaries. Before attorney Walt Shurden became an estate planning attorney, he served as a Georgia Certified Public Accountant (CPA), auditing health care facilities, financial institutions, and doing tax work. 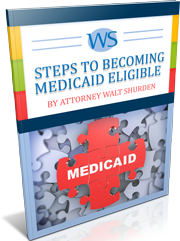 At the Walt Shurden Elder Law, he counsels seniors on how to protect not just their finances, but their rights and independence in Florida. To find out how our firm can do this for you and your family, call our Clearwater office at 877-241-1230 or email us today.